The Paris Vihuela (a.k.a. 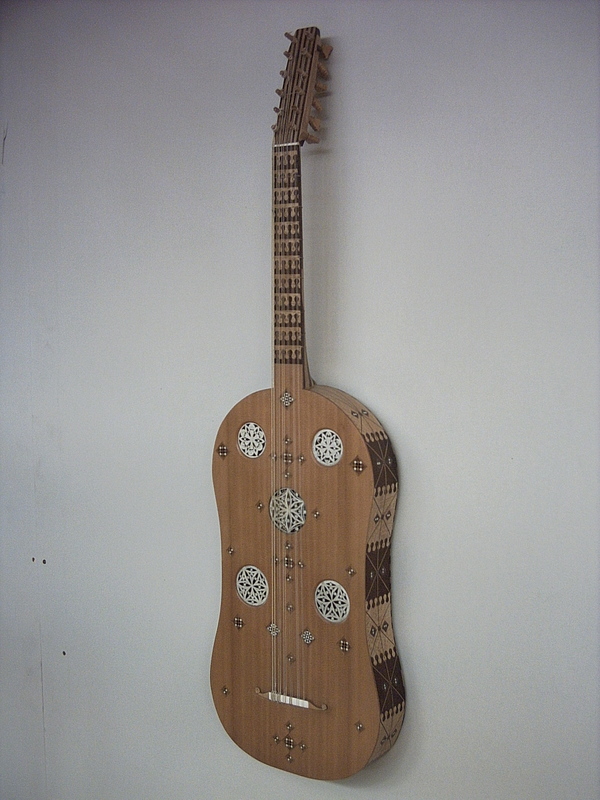 The Guadalupe Vihuela) pictured here is a replica of a historical instrument in a museum in Paris that is the predecessor of the Modern guitar. The original dates back to c. 1500 AD. 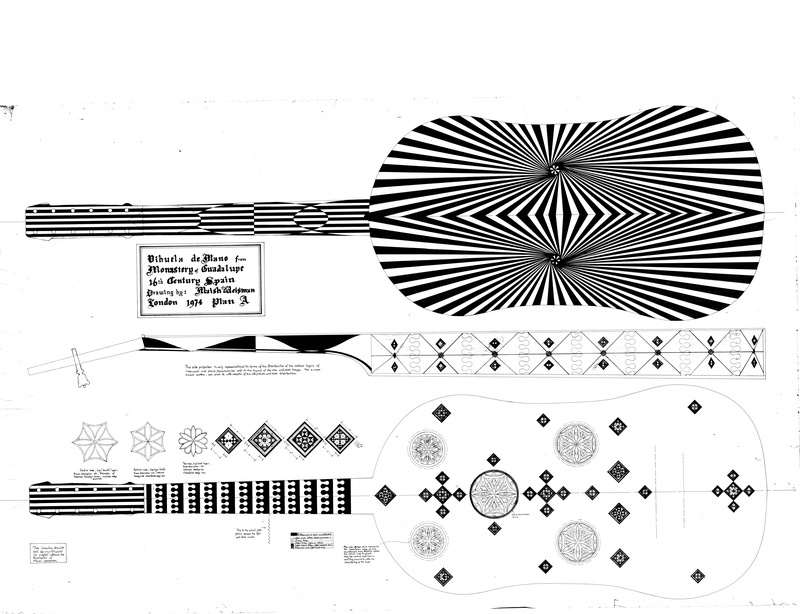 This replica was made in London in 1974 by Raphael (Maish) Weisman, the founder of Harps of Lorien, after examining the original, measuring and photographing it and creating a full scale drawing of it so that the replica could be made. This replica took a year to make and the research and measurements of the original were documented in the Galpin Society Journal, Volume XXXV, March 1982, which includes details of the methods of construction of the replica. 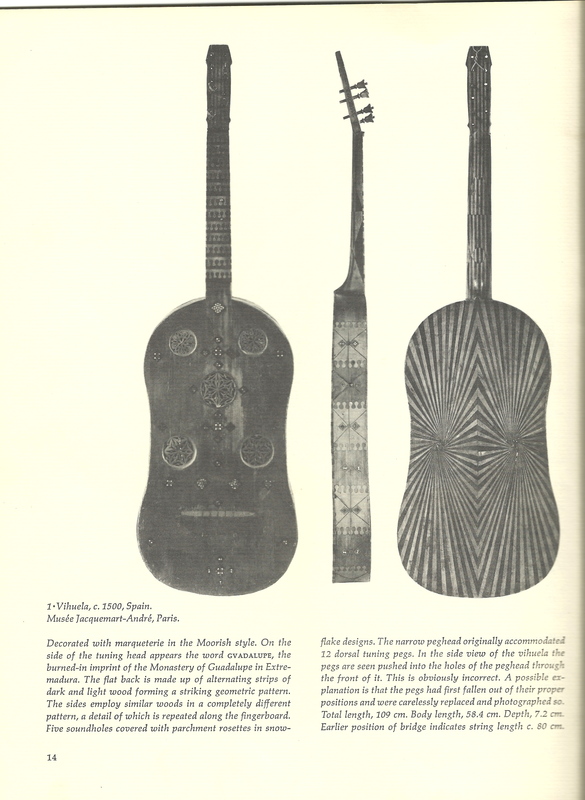 The article also explains the origin of the instrument as a final piece for a luthier to become a master member of the Instrument Maker’s Guild in Spain. The instrument is currently in a private collection. It is available for sale to a museum or collector along with rotating display stand, original drawings, photographs of the original at the time of my examination of it in 1974 and the Galpin Society Journal in which the article appeared. The article is reproduced on a separate page. The link above will open the page on this site. 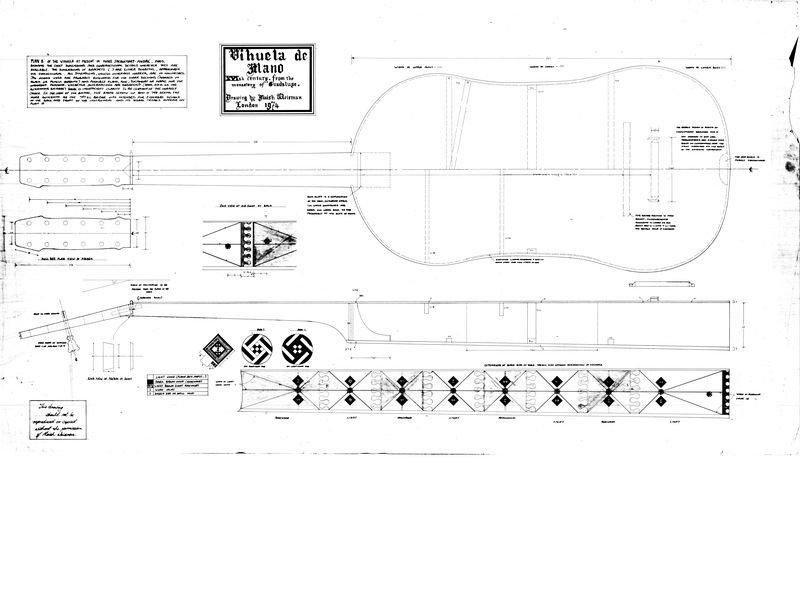 “The vihuela, as it was known in Spain, was called the viola da mano in Italy and Portugal. The two names are functionally synonymous and interchangeable. 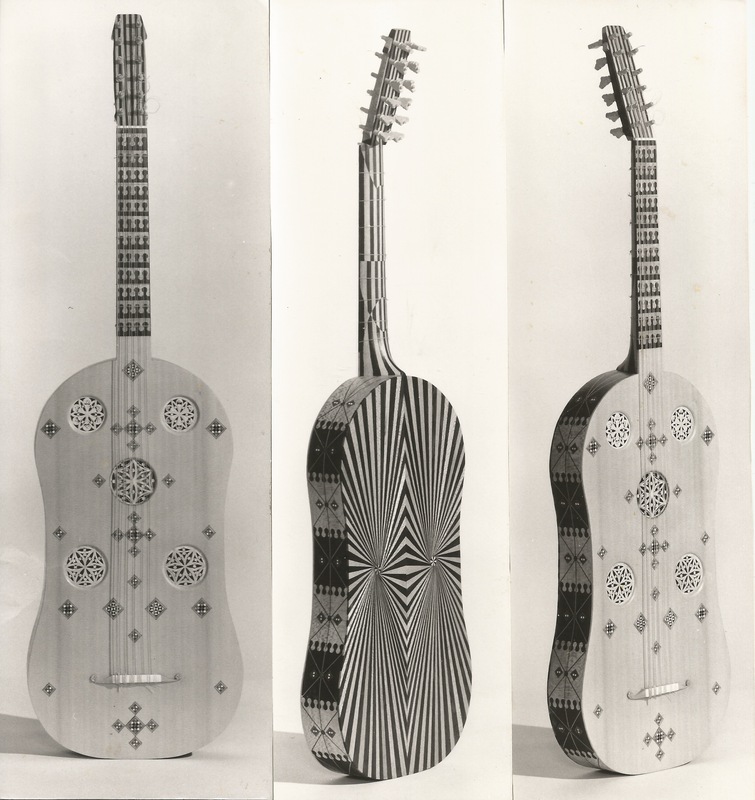 In its most developed form, the vihuela was a guitar-like instrument with six double-strings (paired courses) made of gut. Vihuelas were tuned identically like its contemporary Renaissance lute —4ths and mid-3rd (44344, almost like a modern guitar tunings, with the exception of the third string, which was tuned a semitone lower). Plucked vihuela, being essentially flat-backed lutes, evolved in the mid-15th century, in the Kingdom of Aragón (located in north-eastern Iberia (Spain), filling the gap that elsewhere in Europe was taken up by the lute; for the Spanish and Portuguese the lute was too close to the oud. 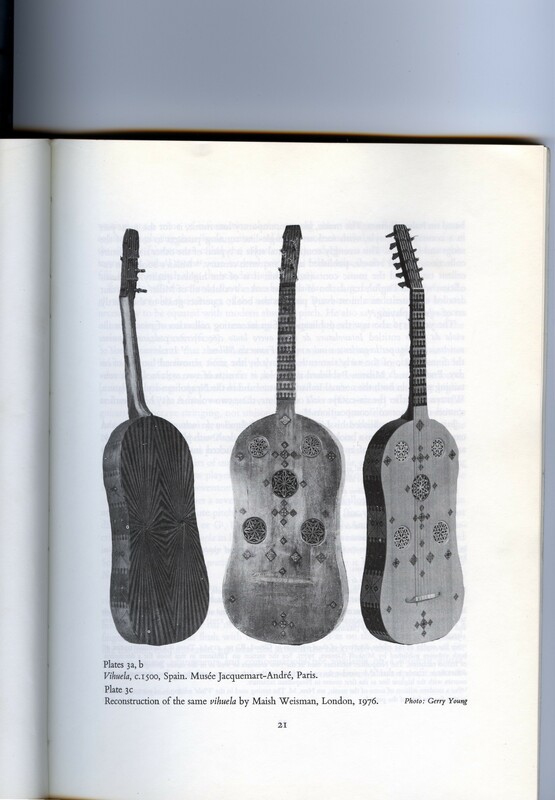 In Spain Portugal and Italy the vihuela was in common use by the late 15th through to the late 16th centuries. 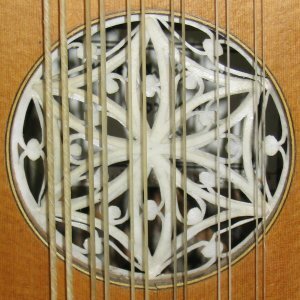 In the second half of the 15th century some vihuela players began using a bow, leading to the development of the viol. Body depth (Sides including back and front) tapers from 6.4 at neck/body joint to 7.6 at endblock. More detailed dimensions are available in the Galpin Society publication. The following are views of details from the replica made in 1974 in London. The inlays on the back, neck and the (legal) ivory and ebony and other wood marquetry are all made up of many individual pieces as well as the sections of the fingerboard. The woods used for back, sides and neck are Brazilian Rosewood and London Plane (similar to Sycamore in USA). The front is Spruce. Strings are made of gut and consist of 6 courses (pairs of strings). Spacing is very tight and lowest strings very thick.